Last week I spoke at a really interesting event in London, "Engaged Social Science: Impacts and Use of Research in the UK". 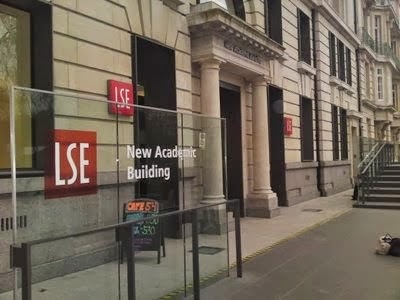 The event had been organised by the London School of Economics (LSE) and SAGE, who were launching a book analysing the impacts that research in the social sciences has on government, business and the public, “The Impact of the Social Sciences: How Academics and their Research Make a Difference”. The other speakers and I had been asked to provide our Twitter Handles and the audience had been provided with Wi-Fi access, the impact of which I was soon to discover. Although I was only speaking for a few minutes the audience, of around 400, were able pick up on quite a number of my key points and tweet them, as I was speaking. They did a really great job of pulling out some "knowledge nuggets" and relaying them to the world, instantly. Here are just five examples, with my thanks to the Tweeters. "Understanding the end user is absolutely critical"
"Social sciences taught me the difference between wants and needs"
"Very interesting things are happening in the tech/design space"
"Intermediaries need specific skills to be effective"
"We need mediators who are comfortable in talking to Social Science Academics AND to Media/PR"
Recently a colleague had explained the concept of "chunking" – breaking information into small pieces in order to enable increased retention, but having your short talk "chunked" while you are speaking is a completely new experience for me and one which made me think about how I present information and knowledge. Had I intentionally included some "one-liners" for the audience? Twitter of course limits its users to 140 characters and therefore forces them to keep the Tweets short and quite succinct, producing, in my case, some really good nuggets of knowledge from my talk. The process is really no different to that adopted by the media for their headlines or article leaders, but the speed and the potential impact are genuinely impressive. The organisers of the event had certainly advocated "Social Media" as a way of enhancing the communication of the Social Sciences and my recent experience at this event shows that key messages can be disseminated very rapidly in this manner, but obviously some thought needs to be given to the construction of the content to ensure that when it is chunked it retains its message.